Stevie Awards for Great Employers. 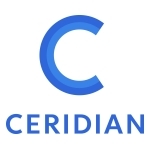 and develop their people,” said David Ossip, Chairman and CEO, Ceridian. to select this year’s Stevie Award winners. Stevie winners are available at www.StevieAwards.com/HR. worldwide. Learn more about the Stevie Awards at http://www.StevieAwards.com.